Soft play franchise opportunity, full training and support provided. 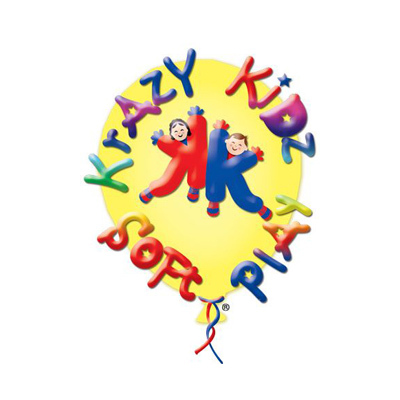 Krazy Kidz Soft Play are a mobile Children’s Softplay Hire company, based in East London and we are looking for Franchisees across the UK. For some time now, we have had to turn people away because of the distance involved, so we decided to franchise the company, enabling us to expand the business further afield. If you’re looking for a change of direction, or trying to get back into work after a break, then how about joining us? It really is so rewarding seeing the smiles on children’s faces when they see the softplay, whatever the event may be, but especially for a birthday party, knowing we’ve helped to make it that extra bit special! Our experience includes numerous Birthday Parties, Christenings, Weddings, Fun Days, Religious and Corporate Events (some of our clients include ARAMCO, Microsoft, NEXT, many financial businesses and some well-known household names!). Quite simply, being a Franchisee allows you to start your business minimizing the many risks that are usually involved with a start-up. It is faster because of the shorter learning curve – you have the benefit of our experience and the knowledge we have gained over the years, so you will avoid the same costly mistakes. Did you know that Franchisees succeed at the rate of 90%, making them a far more viable option for all the lending institutions than a brand new venture. With name recognition and brand awareness from an established Franchise (Krazy Kidz Softplay has been trademarked), you get the benefits that occur from marketing an established brand of products/services. With a new Franchise, you can grow and contribute to this further. As a Franchisee, you will get valuable, ongoing business support, including training, marketing, new technology, etc. Everyone working for Krazy Kidz Softplay is an important member of the team. We believe in building personal, professional relationships with our customers and being polite and helpful at all times. As a Franchisee, you buy the exclusive right to develop your business in a defined geographical area, with a guarantee from us of no Krazy Kidz Softplay competitor in that area. You will also have the non-exclusive right to work outside of this until another Franchisee comes along. Our aim is to provide a nationwide quality service to all of our customers. Head Office support is essential, especially in the early days for the Franchisee and it will always be readily available. To start with it will be very hands on, then gradually stepping back as you become more confident, professional and experienced. The operations manual that you will receive contains everything you need to know to run your business successfully, it is an easy to follow, step by step guide and all at your finger tips from day one. As a special introductory price for the first 3 Franchisees, we are offering our Franchise at £8,995 +VAT. An upgrade package is also available, which we recommend once up and running and you have some experience behind you. There is also a one-off Special Offer for part-new and part-used (2 years old) softplay of £6,000 +VAT. The earnings potential depends on whether this is run as a ‘part-time’ or ‘full-time’ business, but there is the possibility to recoup your investment in the first year. TO FIND OUT MORE ABOUT THE KRAZY KIDZ SOFTPLAY FRANCHISE OPPORTUNITY, PLEASE COMPLETE THE ENQUIRY FORM BELOW.